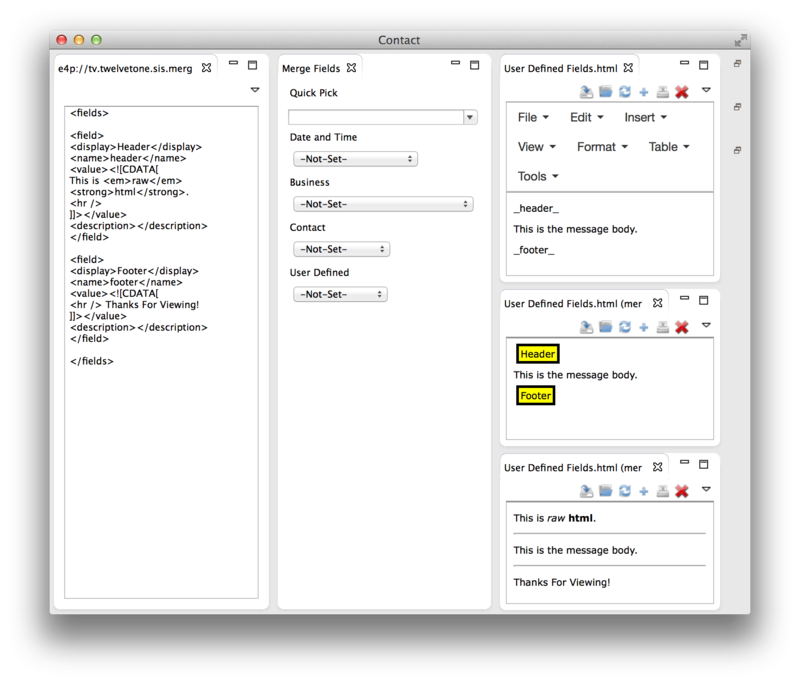 Merge combines information from a variety of sources into the documents you compose. Any document you send (print, email, message, preview) can be merged. Adding merge fields is simple; Just put the name of the field-id in your document, surrounded by underscores. Hello _first_name_. We are writing to inform you that today is _date_. When sending emails, the subject field can also be merged. If your document is HTML and contains a <title> element, the title will be used as the email subject. Call us today us at _business-phone_ for a special offer. Merge fields can be formatted like any other text in the document. The architecture allows adding additional merge fields specific to your application. For example, the sports add-on offers team and athlete statics, the medical add-on offers patient current medication and allergies fields, and the Point-Of-Sale add-on includes balance, deposit, and sales history fields. This add-on allows static content (headers, footers, etc) to be placed into any document. User defined fields automatically appear in the user defined field combo, quick pick, and preview. This example uses CDATA sections to easily include HTML source into the replacement text. 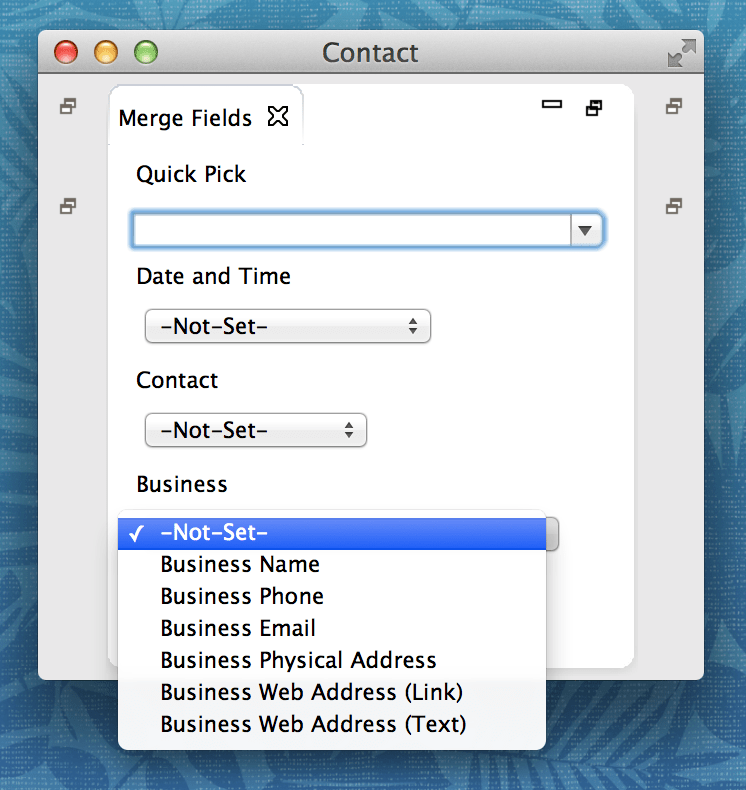 Shows all of the available merge fields and provides an easy way to insert them into a document.